This two story home will surely tempt the small family or person who wants just enough room to vacation in without feeling crowded. Notice the optional winding staircase (in PDF) which could replace a regular staircase making room for a wood stove. The loft area can easily be used as a second bedroom, study, workroom or simply just leave it as a loft. The Snowflake has a vaulted roof system with a 12/12 pitch. 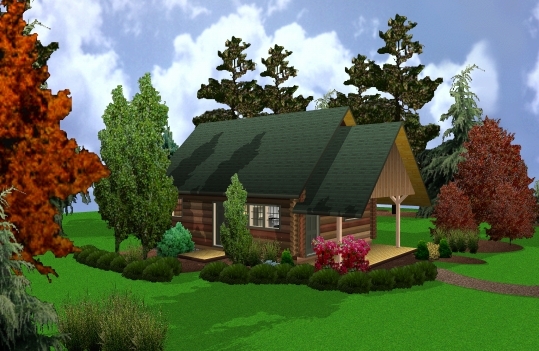 It also comes with an optional porch for relaxing and enjoying the outdoors.